AMSTERDAM, 29 March 2016 – SkyTeam has again been awarded ‘Airline Alliance of the Year’ in the latest Air Transport News Awards that took place in Salzburg, Austria on Saturday, March 26th. "Winning this award for a second consecutive year is a great honor and clearly demonstrates that SkyTeam's customer-focused approach is being recognized by the industry and valued by our customers,” said Perry Cantarutti, SkyTeam’s Chief Executive Officer & Managing Director. “We are focused on delivering value to our 20 member airlines and their 665 million customers by creating a seamless travel experience across our network of 1,057 destinations and will continue to implement more industry-leading services and benefits to enhance the travel experience throughout the SkyTeam network." 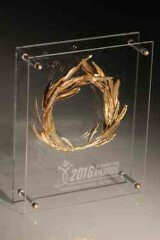 The Air Transport Awards are held annually to recognize achievement across a broad cross section of the aviation industry. Finalists are voted for by readers of Air Transport News with winners decided by a jury of industry experts. Priority benefits: SkyTeam completed its rollout of SkyPriority across its network to offer distinctively-branded priority airport services to Elite Plus, First and Business Class customers at more than 1,000 global locations, ensuring a common and consistent service standard across the alliance. More SkyTeam lounges: SkyTeam doubled the number of co-branded lounges offered in 2015, by adding new facilities in Sydney and Hong Kong in January and October respectively. A fifth SkyTeam lounge will open in Dubai’s new International Terminal next month. Meanwhile, SkyTeam customers have access to more than 630 lounges worldwide. Investment in technology: From facilitating international transfers at top global hubs to making it easier for Frequent Flyers to redeem their miles, SkyTeam has continued investing in its foundational technology platform. 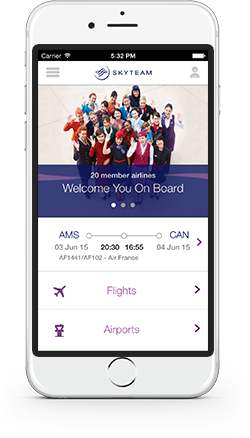 Meanwhile, the new responsive skyteam.com website went live in mid-March and the SkyTeam App is packed with useful features that give customers all the information they need at their fingertips. Greater China synergies – Building on its position as the leading airline alliance in the region, SkyTeam is enhancing customer experience within Greater China to provide passengers with improved check‑in, baggage handling, transfers and custom procedures. SkyTeam is the global airline alliance with 20 member airlines working together to offer seamless travel across an extensive global network. From top hubs around the world, SkyTeam members provide reliable and comfortable journeys to over 1,050 destinations. SkyTeam customers can unwind in 636 lounges as they travel, earn and redeem Frequent Flyer Miles. SkyTeam Elite Plus customers are eligible for SkyPriority services. The 20 members are: Aeroflot, Aerolíneas Argentinas, Aeroméxico, Air Europa, Air France, Alitalia, China Airlines, China Eastern, China Southern, Czech Airlines, Delta Air Lines, Garuda Indonesia, Kenya Airways, KLM Royal Dutch Airlines, Korean Air, Middle East Airlines, Saudia, TAROM, Vietnam Airlines and Xiamen Airlines. SkyTeam welcomes 612 million customers each year on more than 16,320 daily flights to 1,057 destinations in 177 countries.